Add the butter to a bowl and use a fork mash until smooth. Stir through the thyme leaves and paprika and season to taste with salt and freshly ground pepper. Trim the asparagus and spread out in a roasting tin. Drizzle lightly with olive and season with salt and pepper. Roast in a hot oven (180°C fan) for about 7-8 minutes until just tender. When cooked immediately remove from the oven and place onto a serving dish. Top with the spiced butter which will melt over the cooked asparagus. 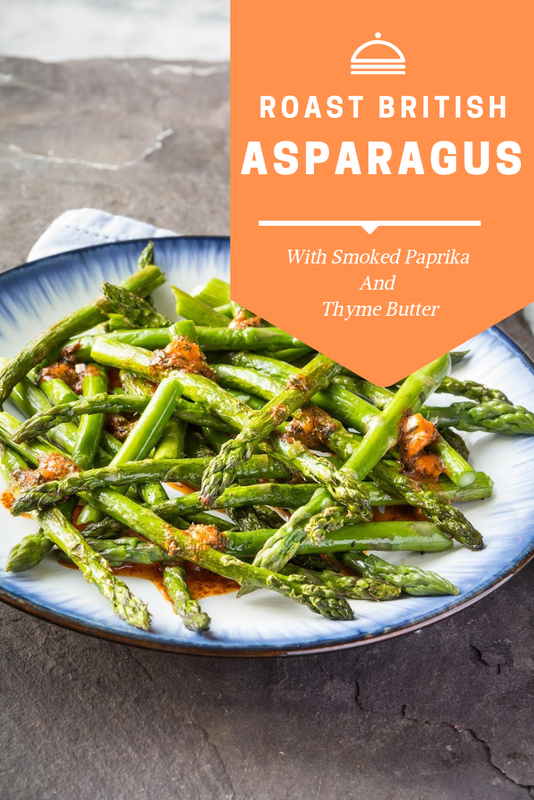 What do you think about this Roast British Asparagus With Smoked Paprika And Thyme Butter recipe? 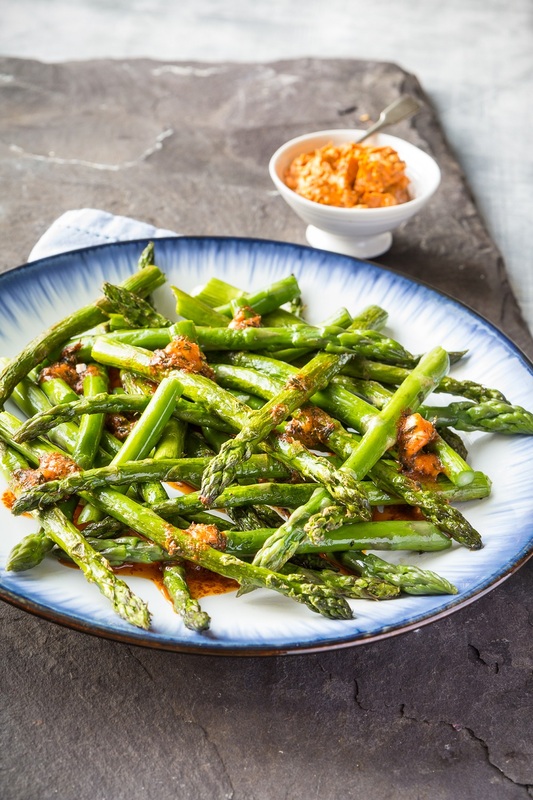 Roast British Asparagus With Smoked Paprika And Thyme Butter. Simply roasted British asparagus spears topped with butter whipped up in moments. Great for sharing.